For the best Valentine's Day furniture deals, sign up now to get them before anyone else. We’ll be deeply discounting furniture for the whole house, including living room, bedroom, kids room, home office, dining room and more. Whether you’re looking for Valentine's Day furniture sales for bar stools, sofas, recliners, desks, beds or dining room tables, you’ll find the Valentine's Day furniture offers you’re looking for when you shop at Ashley HomeStore. Expecting company over the holidays? 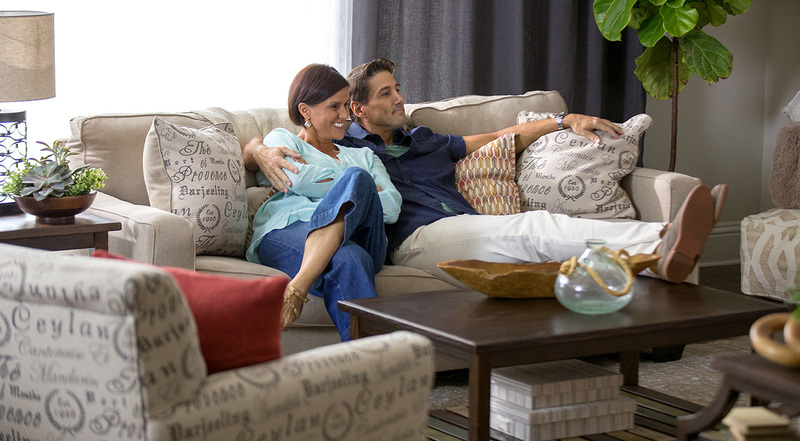 Sign up now to learn about our Valentine's Day deals for sleeper sofas, mattresses, beds, nightstands and dressers. Wow your guests with more than just your amazing cooking and makeover your dining room with a new table and chairs, bar stools or benches. Don’t forget to update your living room with a coffee table and end tables plus a new sectional, sofa, loveseat or recliner. We’ll also have Valentine's Day deals for a wide assortment of home accents, accessories and decor, including lamps, pillows, throws, wall art, mirrors and so much more. Be the first to receive information about our Valentine's Day deals.